2019-01-18 The Winners of the Contest "Clean Region" 2018 are revealed! 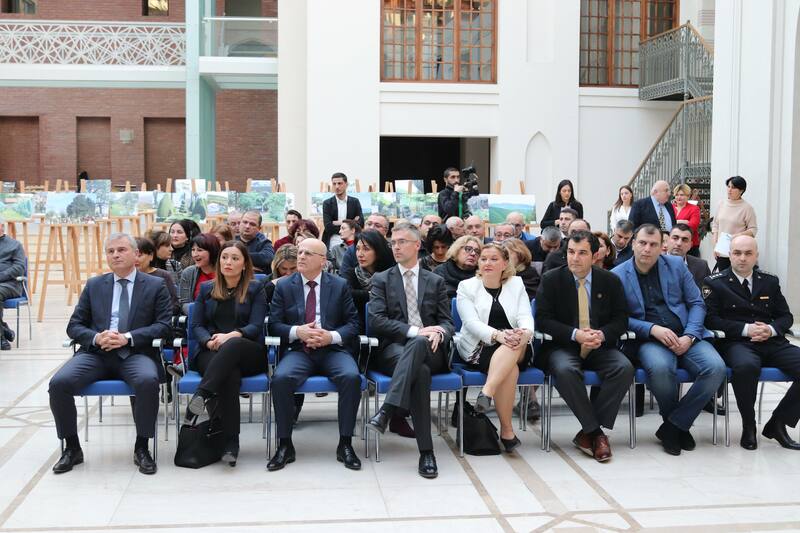 On January 18, the ceremony of awarding the winners of the Contest "Clean Region" -2018, announced within the frames of the project "Clean Up Georgia (phase III) took place at the premises of Tbilisi City Assembly in Queen Tamar Hall ". The event was organized by the Greens Movement of Georgia/Friends of the Earth-Georgia, Parliamentary Committee for Environment Protection and Natural Resources and the Ministry of Environment Protection and Agriculture and with support of Tbilisi City Assembly. The Contest "Clean Region" was announced in May last year and the aim was to identify the “Cleanest region”, “Clean municipality”, “Clean city/borough”, “Clean village/community”, “Clean street”, “Beautiful yard” and “Beautiful balcony” throughout the country. The award ceremony was attended by the Extraordinary and Plenipotentiary Ambassador of the kingdom of Sweden to Georgia and Armenia H.E. Ulrik Tideström, Deputy Minister of Environment Protection and Agriculture Mr. Yuri Nozadze, Deputy Minister of Environment Protection and Agriculture Ms. Nino Tandilashvili, First Deputy Chairman of the Parliamentary Committee for Environmental Protection and Natural Resources Mr. Zaza Khutsishvili, Deputy Chairman of the City Council Ms. Marika Darchia, representatives of implementing organizations of the project "Clean Up Georgia Phase III" and members of the selection commission created in the framework of the project. In December, 2018, EAWM conducted the trainings on "Introduction of tools and methods of utilization of expired chemical waste / reagents existing in public schools" for chemistry teachers and other stakeholders of Tbilisi, Mtskheta, Batumi and Lanchkhuti public schools. The trainings were held in the framework of the “Clean Up Georgia – Phase III” Project. On December 19, 2018 within the framework of the component of the “Greens Movement of Georgia / Friends of the Earth -Georgia” , implemented under the project “Clean Up Georgia (Phase III)” , in collaboration and support of Regional Administration a meeting was held in the administration of the State Representative -Governor of Shida Kartli Region on waste management issues. 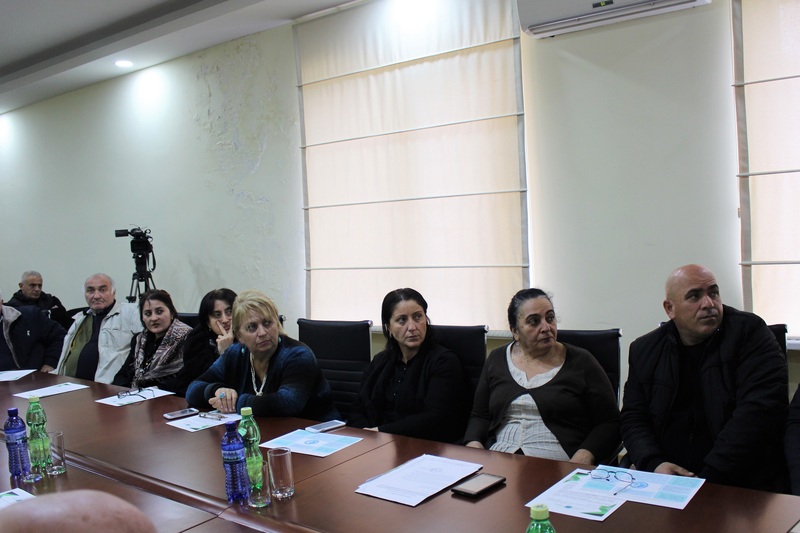 The meeting was attended by representatives of Public Utility and Cleaning Services of the municipalities of Shida Kartli region. On December 14, 2018 within the framework of the component of the “Greens Movement of Georgia / Friends of the Earth -Georgia” , implemented under the project “Clean Up Georgia (Phase III)” in collaboration and support of Regional Administration a meeting was held in the administration of the State Representative -Governor of Kvemo Kartli Region on waste management issues. 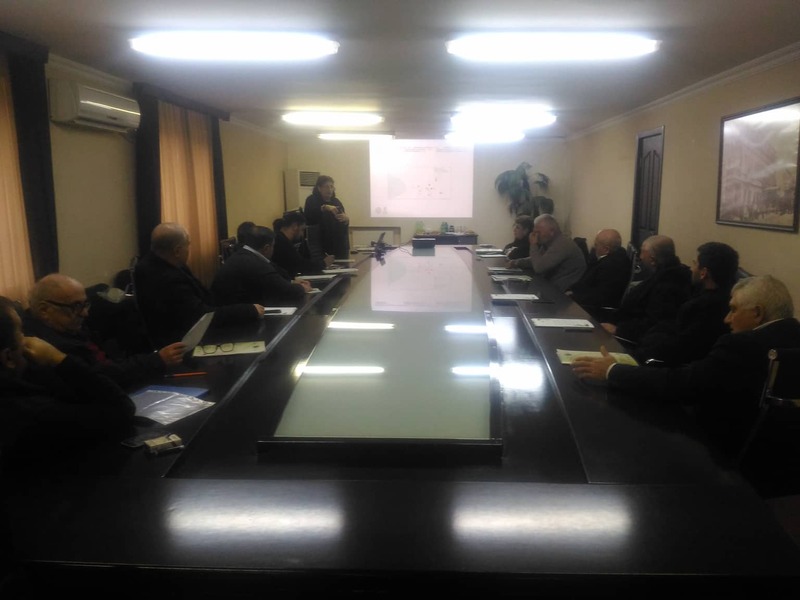 The meeting was attended by representatives of Public Utility and Cleaning Services of the municipalities of Kvemo Kartli region. The meeting was attended by Ms. Khatuna Zaldastanishvili, the Program Officer of the Embassy of Sweden to Georgia. The meeting was chaired by the manager of the component of the “Greens Movement of Georgia/Friends of the Earth- Georgia under the project "Georgia Up Georgia (Phase III)»” Ms. Nino Chkhobadze. During the meeting was discussed current situation related to waste management system in the country, as well as Multi Dimensional Poverty Analyses with regards to waste management, still existing illegal landfills, five-year waste management action plans, prepared by the municipalities. It was stressed that municipalities still lack an adequate waste management system, there are problems with illegal waste disposal, waste removal does not occur in some villages, and at this stage, due to the lack of appropriate infrastructure, they cannot imagine switching to a pilot waste separation model from next year. On December 11, within the framework of the project “Clean Up Georgia” (Phase III) a clean up action was carried out with participation of pupils and teachers of Bolnisi public school N3, during which adjacent territory of the school was cleaned up. The clean up action was organized by the Greens Movement of Georgia/Friends of the Earth Georgia. Pupils and teachers cleaned up 0.8 hectares of school adjacent area and collected 0.8 m3 of waste. The action was attended by 20 pupils and 1 teacher. In the framework of the component of the Greens Movement of Georgia / Friends of the Earth-Georgia under the project "Clean up Georgia Phase III" continues meetings with Regional Administrations and representatives of municipalities of the Regions. 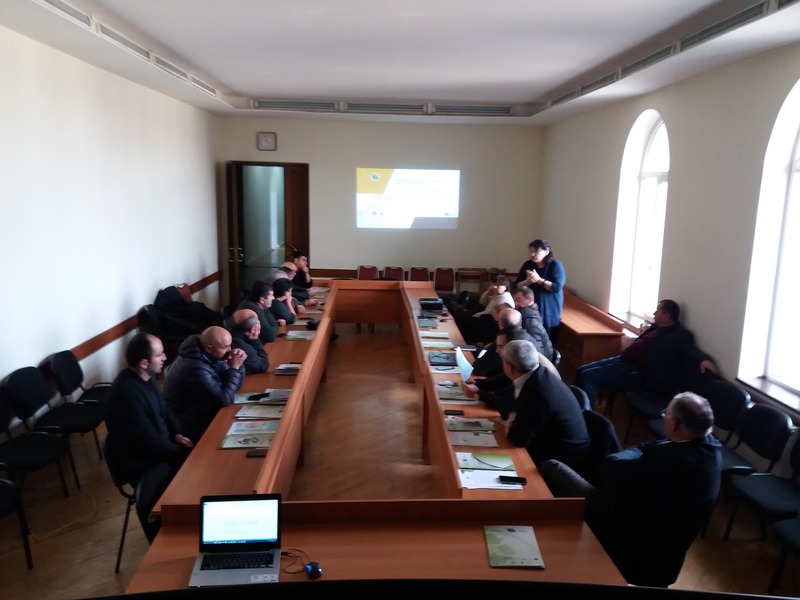 In this regard a meeting was held at Imereti Regional Administration on December 13, 2018, where the Project Implementation Team met with representatives of Public Utility and Cleaning Services of the municipalities of Imereti region and discussed the problems that still exist in the region in relation to waste management. During the meeting the manager of the component of the “Greens Movement of Georgia/Friends of the Earth- Georgia under the project "Clean Up Georgia (Phase III)»” discussed current situation related to waste management system in the country, as well as Multi Dimensional Poverty Analyses with regards to waste management and problem of still existing illegal landfills. In the framework of the component of the Greens Movement of Georgia / Friends of the Earth-Georgia implemented under the project "Clean Up Georgia (Phase III)" a regional meeting was held at the premises of Mtskheta –Mtianeti Regional Administration with support of Regional Administration on waste management issues. The meeting was attended by the State Representative-Governor of Mtskheta-Mtianeti Region Mr. Shalva Kereselidze, Mayors of the municipalities, representatives of Cleaning Services and public representatives. During the meeting was discussed current situation related to waste management system in the country, as well as Multi Dimensional Poverty Analyses with regards to waste management, still existing illegal landfills, implementation of five-year action plans for municipal waste management. It was emphasized that none of the municipalities have a service / department that will work in the region on waste management, as well as on various environmental issues, while the country has adopted specific environmental obligations under the EU-Georgia Association Agreement and most of which should be implemented at the municipal level. In the framework of the component of the Greens Movement of Georgia/Friends of the Earth-Georgia implemented under the project "Clean Up Georgia (Phase III)" a regional meeting was held in Batumi with support of local authorities . The meeting was attended by representatives of Public Utility and Cleaning Services of Khulo, Kobuleti, Khelvachauri, Keda and Batumi on waste management issues. The meeting was chaired by representatives of the executive group of the project "Georgia Up Georgia (Phase III)“. During the meeting was discussed current situation related to waste management system in the country, as well as Multi Dimensional Poverty Analyses with regards to waste management, implementation of five-year action plans for municipal waste management and problems that still exist in the field of waste management were considered. In the framework of the component of the Greens Movement of Georgia / Friends of the Earth-Georgia implemented under the project "Clean Up Georgia (Phase III)" a regional meeting was held in Telavi with support of Regional Administration. 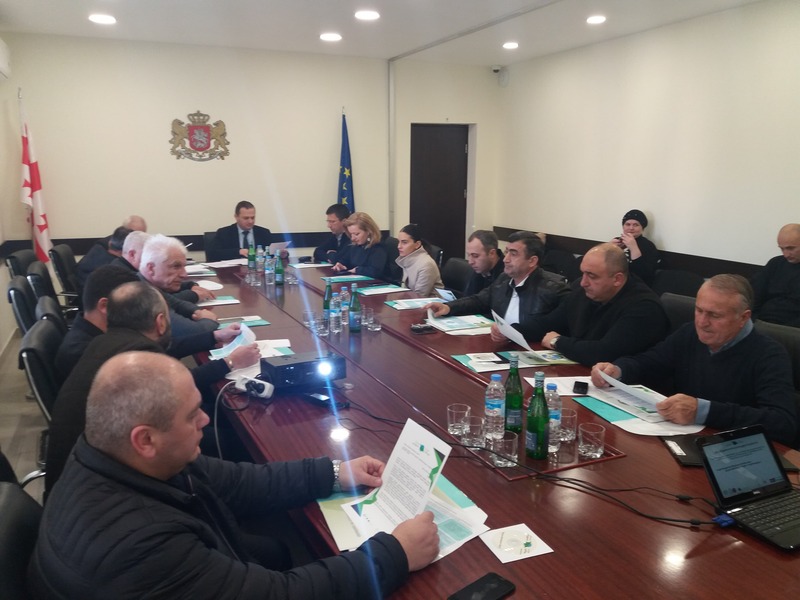 The meeting was attended by representatives of Public Utility and Cleaning Services of the municipalities of Kakheti region on waste management issues. In the framework of the project "Clean Up Georgia (Phase III)" the Greens Movement of Georgia / Friends of the Earth-Georgia organized a meeting in Guria Regional Administration. The meeting was attended by the State Representative-Governor of Guria region and representatives of municipalities within the regional administration, who lead waste management issues in their municipalities. During the meeting was discussed current situation related to waste management system in the country, as well as Multi Dimensional Poverty Analyses with regards to waste management, implementation of five-year action plans for municipal waste management and problems that still exist in the field of waste management were considered. EAWM conducted a training on "Introducing tools and methods of utilization of expired chemical waste / reagents existing in public schools" for Telavi, Zestaponi, Borjomi, Rustavi and Gori municipality public school chemistry teachers and other stakeholders in November, 2018. The training was held in the framework of the “Clean Up Georgia – Phase III” Project. On November 19, within the framework of the project “Clean Up Georgia” (Phase III) a clean up action was carried out with participation of pupils and teachers of Bolnisi public school N2, during which adjacent territory of the school was cleaned up. The clean up action was organized by the Greens Movement of Georgia/Friends of the Earth Georgia. Pupils and teachers cleaned up 0.2 hectares of school adjacent area and collected 2 m3 of waste. The action was attended by 16 pupils and 2 teachers. 2018-11-11 The Contest "Clean Region" Continues! On 14 May of this year, under the initiative of the Greens Movement of Georgia/ Friends of the Earth-Georgia and Parliamentary Committee on Environment Protection and Natural Resources and with support of the Ministry of Environment Protection and Agriculture of Georgia the contest "Clean Georgia" was announced for the third time in the framework of the project "Clean Up Georgia Phase III". This year, number of nominations for the Contest "Clean Region" has been increased even more, and it is carried out in the following nominations: "Clean Region", "Clean Municipality", "Clean City / Borough", "Clean Village / Community", "Beautiful Yard" “Beautiful Street "and “The Most Beautiful Balcony” . 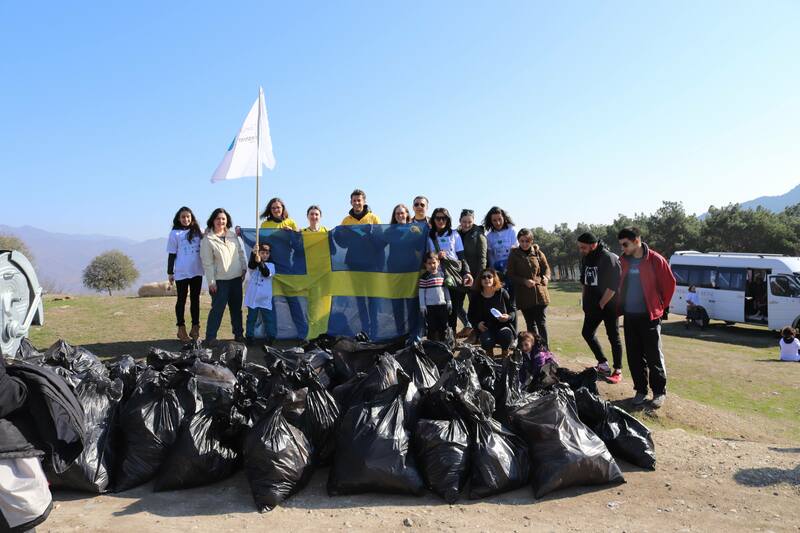 On November 10, within the framework of the project “Clean Up Georgia” (Phase III) a clean up action has been organized by the Greens Movement of Georgia/Friends of the Earth Georgia, with participation of youth volunteers in village Buriani. During the action, participants cleaned up roadsides and gorges in the territory of the village Buriani. About 1 ha area was cleaned up and 4 m3 of waste has been collected. Around 20 volunteers took part in the action. In the framework of the project "Clean Up Georgia (Phase III)", representatives of the Greens Movement of Georgia / Friends of the Earth-Georgia met with the State Representative-Governor in Shida Kartli - Mr. Giorgi Khojevanishvili. 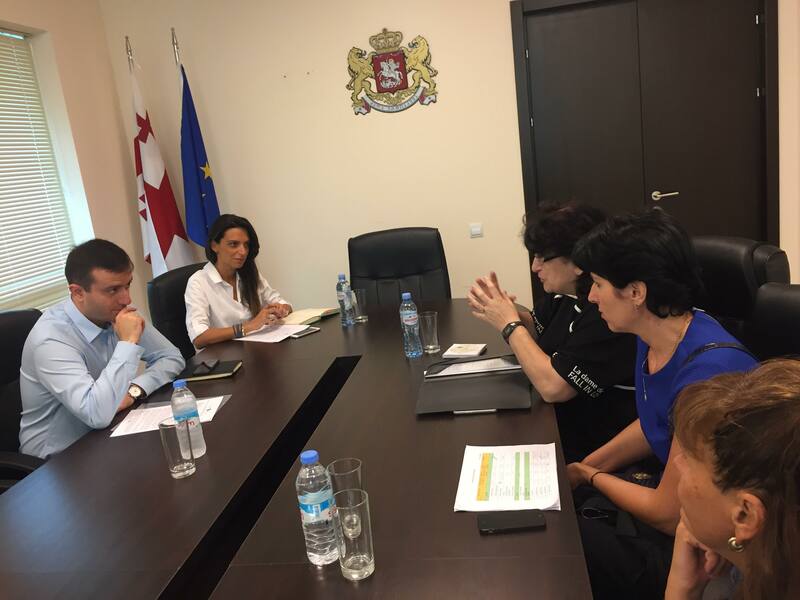 During the meeting the Regional Governor became familiar with planned activities within the framework of the World Cleanup Days on September 15-16 in the country and received information on planned clean-up actions in Shida Kartli municipalities during these days.